I am starting a 50 over 50 club. It’s about time that consumer electronics industry seniors get honored as a group. If you have had a long-term career in the CE/tech business, you’re in. 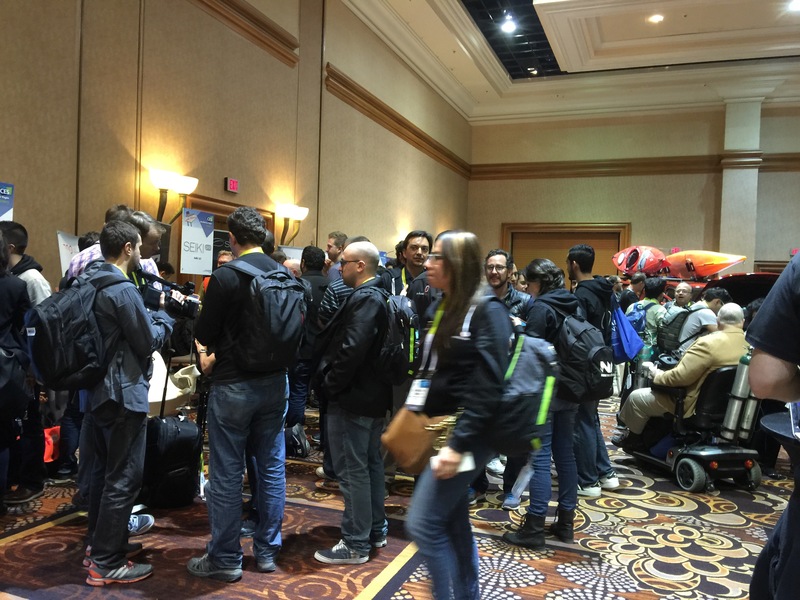 Let’s congratulate each other at a meet-up at CES in Las Vegas next January. It will be so nice to see those who have had “staying power” get recognized with a few words from each of us attending. Retirees are encouraged to attend. Those who are no longer with us will be honored as well. One of the reasons why I decided to start this group is because most industries do not honor seniors. 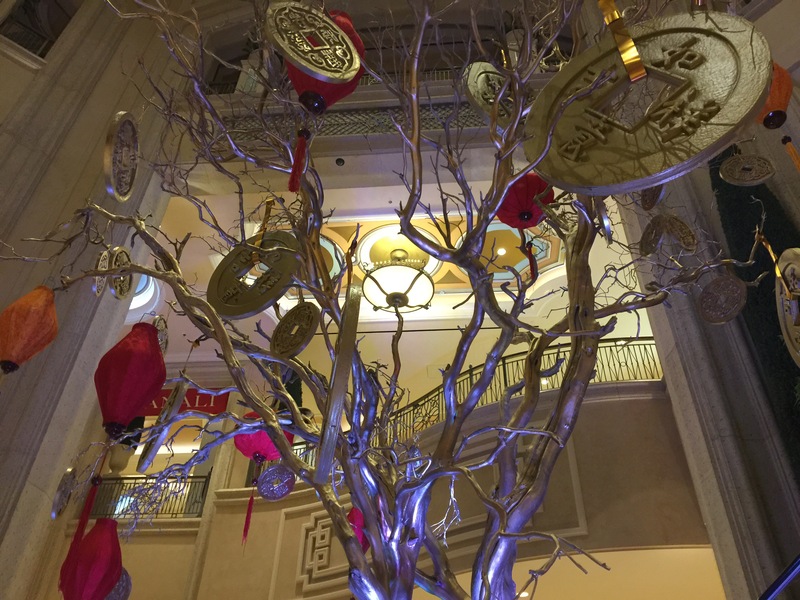 You will see events for 40 under 40, or 30 under 30 groups. It frustrates the heck out of me to see industries honor those who have less experience, or have been in their jobs for a year or two. Most of the time it’s done because the younger folks will attract advertising dollars for the magazines who honor them. It really has little to do with accomplishments. In fact, many of the young people who get honored, rarely stay around. They are building careers and jumping from industry to industry. People are very excited about 50 over 50 because everyone can join in. It will be lovely to be in the company of those who dedicated themselves to building the CE business and are being finally bring recognized. No judges, no magazines profiting, no political agendas. Just lots of hugs and congratulations. Life is full of surprises. Whoever thought that one day there would be a machine that folds your laundry? It’s not available now, but it will be in in the latter part of 2019. There are a number of companies working on it. 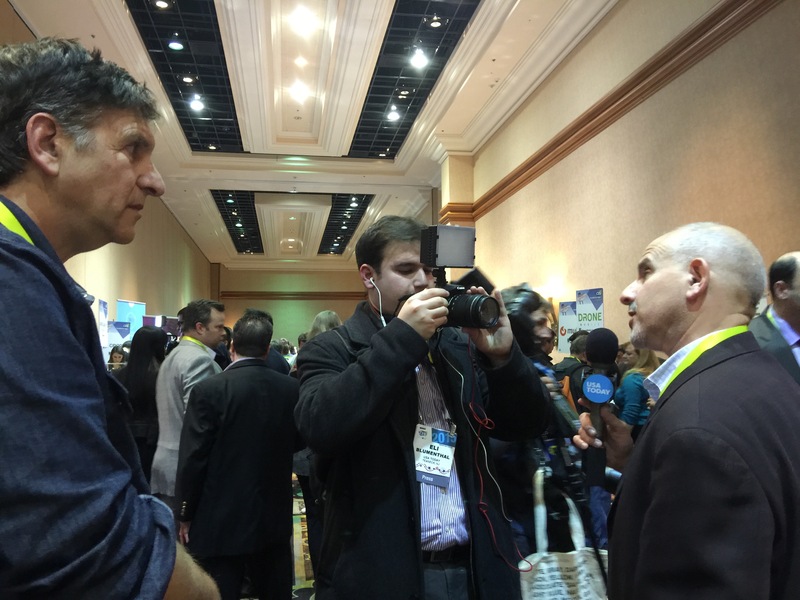 The one that got some serious attention at CES is FoldiMate. The company claims that a load of laundry can be folded in four minutes. I never realized that so many people hated folding laundry. FoldiMate reported that they received 8,000 pre-orders for a $850 machine. If you are one of those who pre-ordered a unit, you should be forewarned that FoldiMate can’t fold all items. Forget baby clothes, socks and undergarments. Maybe that will change a year from now. 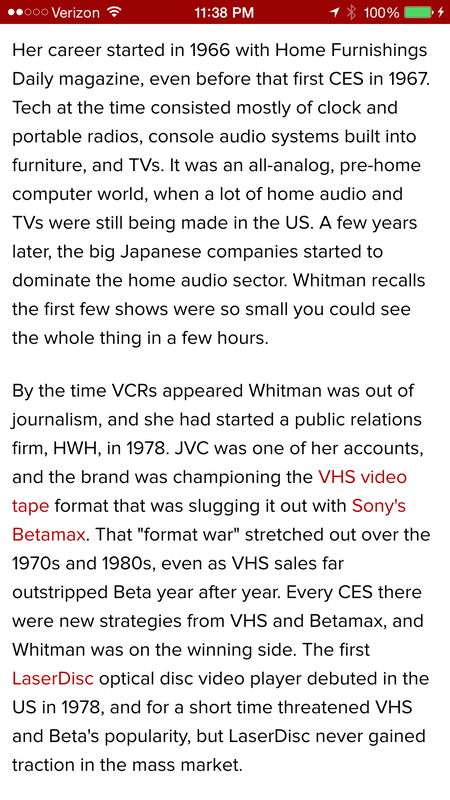 For more in-depth coverage, read the story The Verge did on FoldiMate. They also have some cool videos. 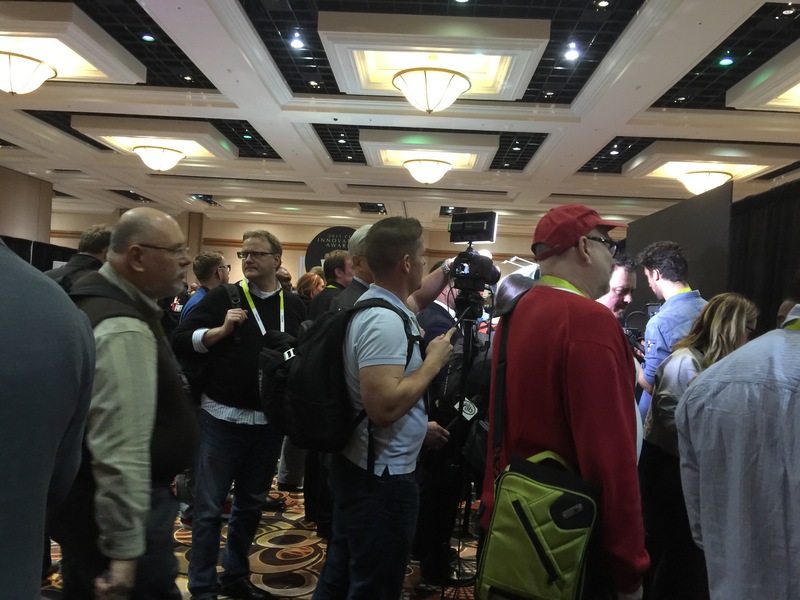 There was a lot of chatter this week about the lack of innovative products at CES. Many members of the press were in a rush to write how disappointed they were. 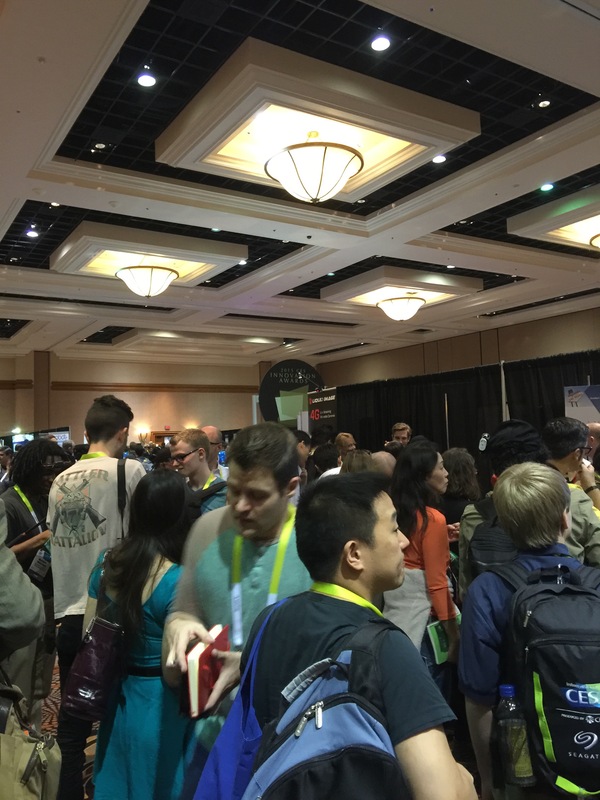 I had similar thoughts, but I have been walking the aisles of CES for 51 years. Maybe, just maybe, very little can impress me. I think the same thing is true for many tech writers who just can’t be wowed that easily anymore. We also may be in a transitional year. There are years of innovation, and then there are years of getting the work done for the next series of surprises. Whatever the case may be, there were many clever products that I want to show you over the next few days. 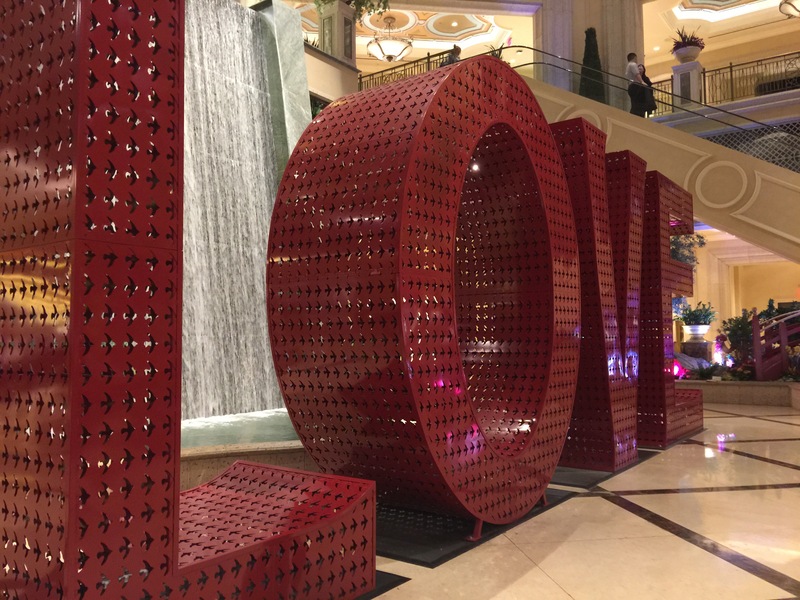 Today, I want to introduce you to an expensive gizmo that will tell you whether that viagra pill is the real deal. Maybe you won’t consider the Linksquare Spectrometer expensive considering the job you are asking it to do. The Linksquare Spectrometer will also tell you if your fish or poultry is still fresh, name the brand of liquor in a bottle, and if the money in your pocket is real, or counterfeit. 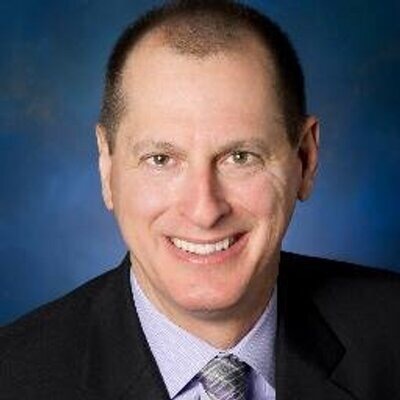 My friend, Steve Greenberg, the Today Show Innovation Insider, just did a demonstration of the Linksquare Spectrometer for a dozen TV stations around the country. He said it is very easy to use, so click here to watch his presentation. Other innovative products are included in his segment. The Linksquare Spectrometer is $299. I have a solution for seniors who have some hearing problems, but are not quite ready for hearing aids. 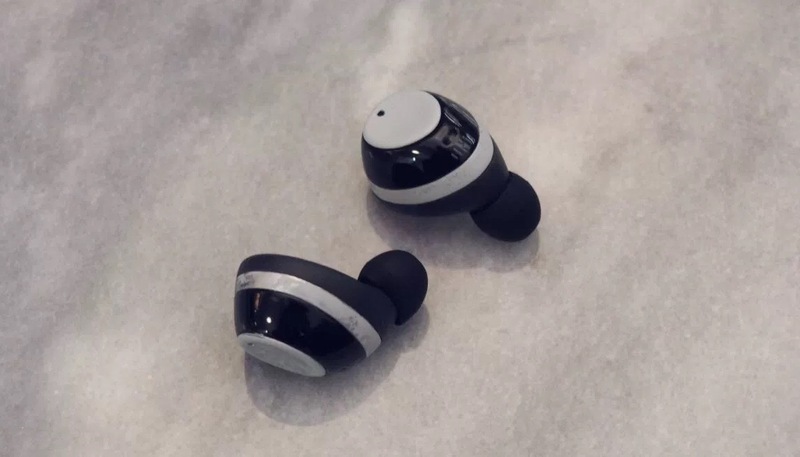 I was introduced to the IQbuds at CES. They are a combination of wireless headphones and a hearing aid. Stephen was the brother of Owen McDonald and cousin of Danny McDonald. Eliot and I worked with both Owen and Danny in the 1970’s and are still in touch with them. 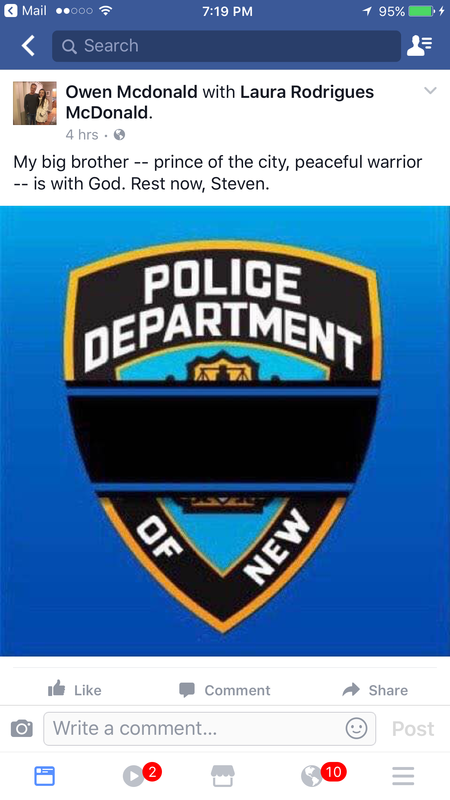 Stephen, a New York City police officer, was shot in Central Park in 1986.The McDonalds are a big, wonderful family. You can read all about Stephen here. 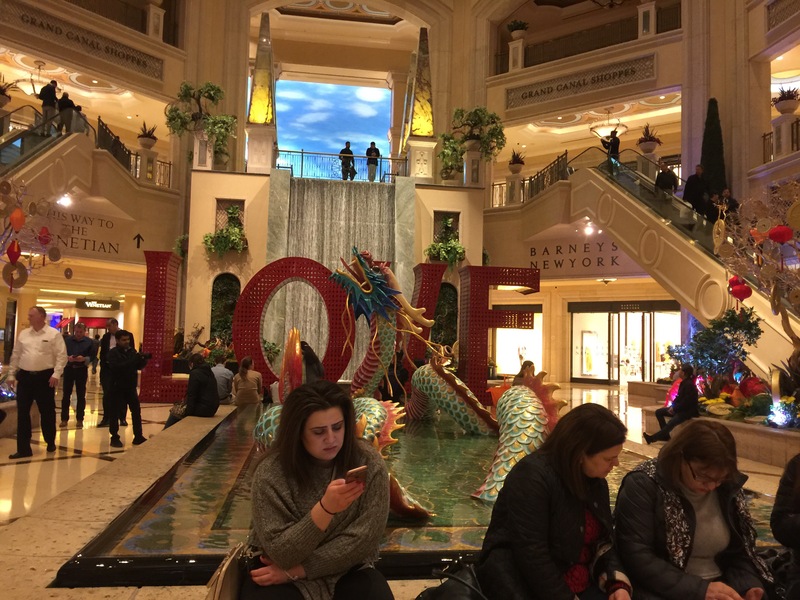 Bloomlife got a lot of attention at CES, primarily because women with big stomachs were walking around showing off their automatic track and monitoring systems. 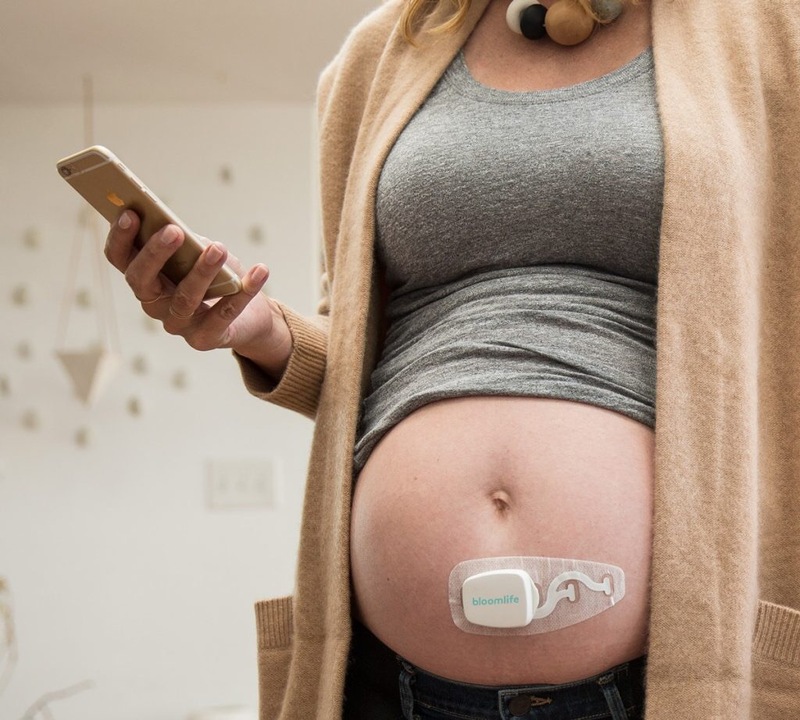 Bloomlife tells pregnant women the frequency and duration of their labor contractions. It’s a personalized digital pregnancy wearable. The concept is brand new. The company is only renting the monitor for the last trimester at $149.00. While some future moms may not feel that this gizmo is necessary, I bet most will love ❤️ it. There’s nothing like having a little reassurance that’s it’s time to head to the hospital. I did a video with a company executive giving a fast synopsis of the product, and I also posted a Bloomlife one which gives you great insight. 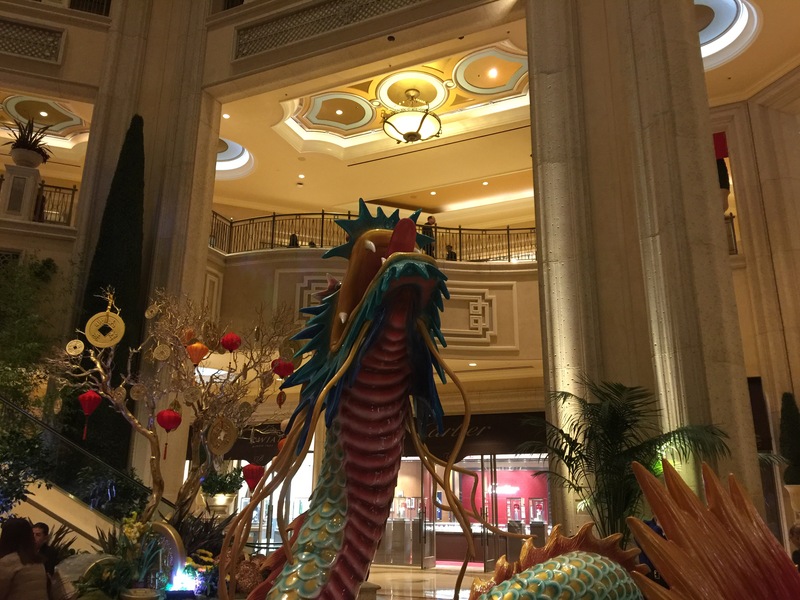 I stayed at the Palazzo Hotel in Las Vegas this year. Our new favorite. The following was posted on Gary’s Facebook page last Friday. Way before the first Republican primary I have been consistent, clear and firm that Donald Trump is unfit to be President. He is divisive, appeals to our worst tribal instincts and is highly immoral. He hurt thousands of contractors and investors. He is lazy, didn’t prepare for debates or learn the basic facts about foreign or domestic policy. I disagree with the substantive positions he has taken. (The only redeeming virtues for me of a Trump presidency are restrictions on regulatory overreach, lower corporate taxes, investing in infrastructure and pro-business Supreme Court appointees). First, he will destabilize the world and should not be entrusted with our military and nuclear arsenal. This draft dodger for a foot bunion had the audacity to say multi-year POW Sen. McCain was no war hero. Second, he is such a horrible immoral sexist, racist, nasty person he should not sit in the White House. The President sets the moral tone for the country and is a model for every child. For the last 40 years we have had R and D presidents who had different views but they were decent and ethical people. I want my children and future grandchildren to know I did what I could to stop this horrible person from being President. So I have written op eds, tweeted and opined. Now I must vote. Despite having supported, contributed and advocated for the last few Republican presidential candidates, I am almost ready to vote for Sen. Clinton as she is experienced, stable and by every measure a better choice. She is good on tech policy, social issues and hopefully trade. Her husband was a great president who appreciated that businesses create jobs. I think she means well and although she began as a Republican, had adversity (NASA telling her at five that girls could not be astronauts, failing the bar – and other better known challenges) she did ground breaking work establishing rights of children and fighting for women globally. She also is passionate about the value of a free Internet. Of course she has issues. She does what unions want. She has several incidences of poor judgement which I hope she learned from. I hope she can understand that American companies are in a global battle and need a supportive government willing to let them hire the best and brightest and not face unfair tax and regulatory burdens. In high school she ran for class president against a guy who said something like you are stupid if you vote for a girl for president. Well, I hope tens of millions of Americans vote for HRC not because she may be our first woman president but because she is highly qualified. Trump not only is unqualified, he is bad for our nation, our ideals and our children and the legacy of moral leadership we owe them. Having written a best seller about innovation and ninja behavior, I can only say this is not the situation I preferred, but looking at all the options, a landslide vote for Sec. Clinton would be the best message we can send the haters, the party firsters and others who think Trump’s brand of nastiness, failure to take responsibility, and simplistic but idiotic fixes will make us better. 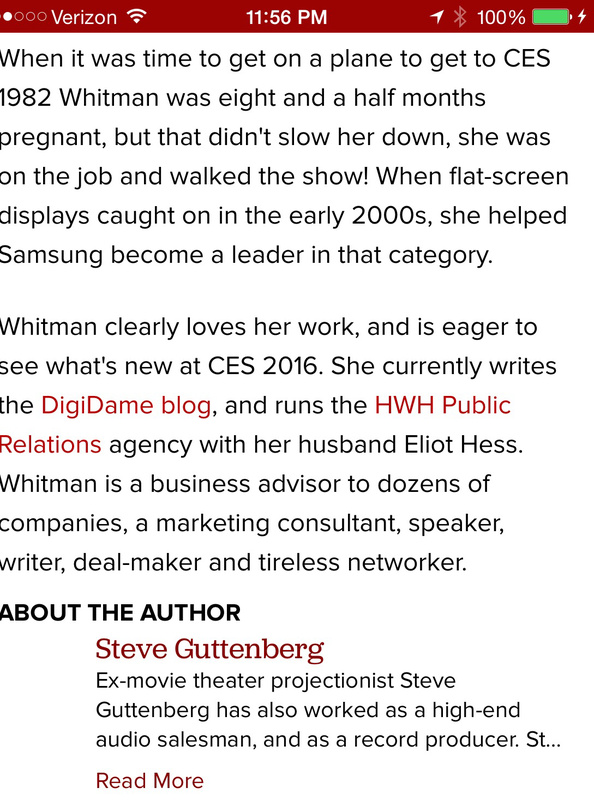 When Steve Guttenberg, the highly regarded audio editor at CNET, a leading tech site, found out last year that I had attended every CES, he said he wanted to write a story about it. 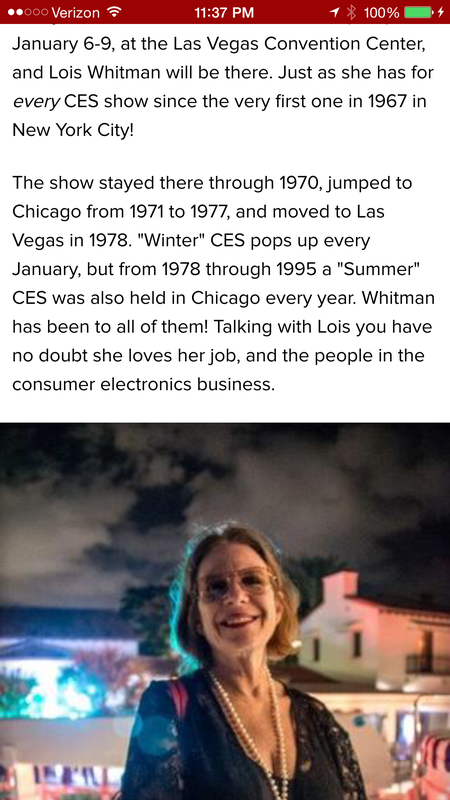 I was thrilled because it is a pretty amazing accomplishment, considering 99.9 per cent of the people I started going to CES with no longer attend the show. They are either retired or have died. 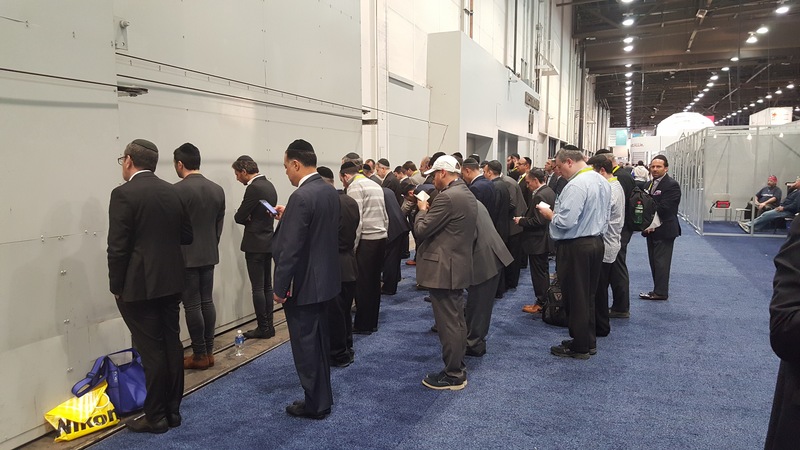 This week, approximately 200,000 people will attend the show. 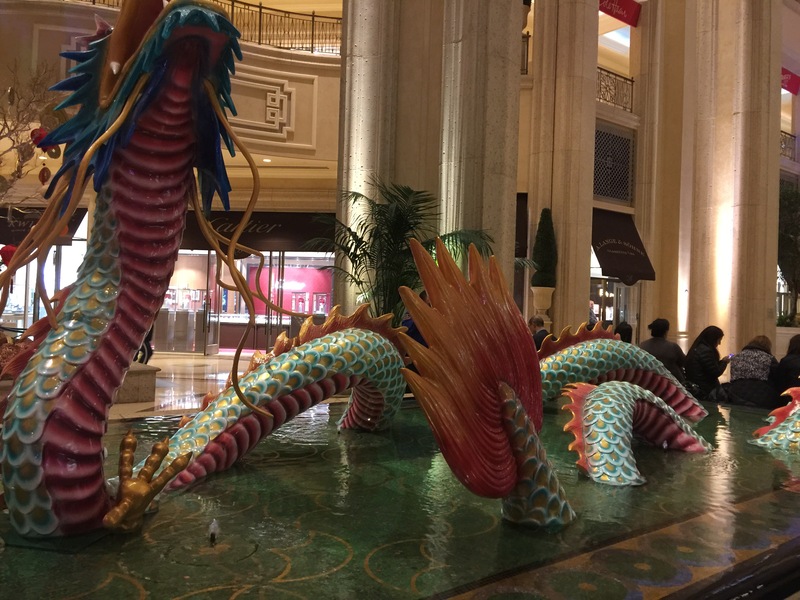 While I enjoy going to witness all of the new innovative introductions, I do feel the rooms are filled with the ghosts of all of the amazing entrepreneurs who have helped build the electronics industry. These are the folks I grew up with. These are the folks I worked and partied with for decades. I’m so grateful to Steve Guttenberg for recognizing my participation in the show. It pays tribute to everyone I miss, yet validates all of the important work I still want to do. I am truly honored to have a major influencer in the business focus his attention on me, even for a second. I cut and pasted the blog post below because I wanted to share it. I also included the link. Click here. Digital posts average 300 to 400 words so it will be a fast, meaningful read. That’s the way the Internet works. Getting here was pure hell. I have never encountered such a mob scene at Miami International Airport. There were 75 people on the First Class line before us. After waiting an hour, my traveling companion, (Steve Greenberg) and I got a skycap to check us in. We ran to the gate but American Airlines closed the door to the airplane and wouldn’t let us on. We were miserable. Our luggage was on the flight. We just stood there in shock. After a lot of whining, we were rebooked on another flight. We were squeezed in the back of the plane with a woman who coughed all over us for three hours. We had to fly to Dallas and then pick up a second flight to Vegas. We finally made it. 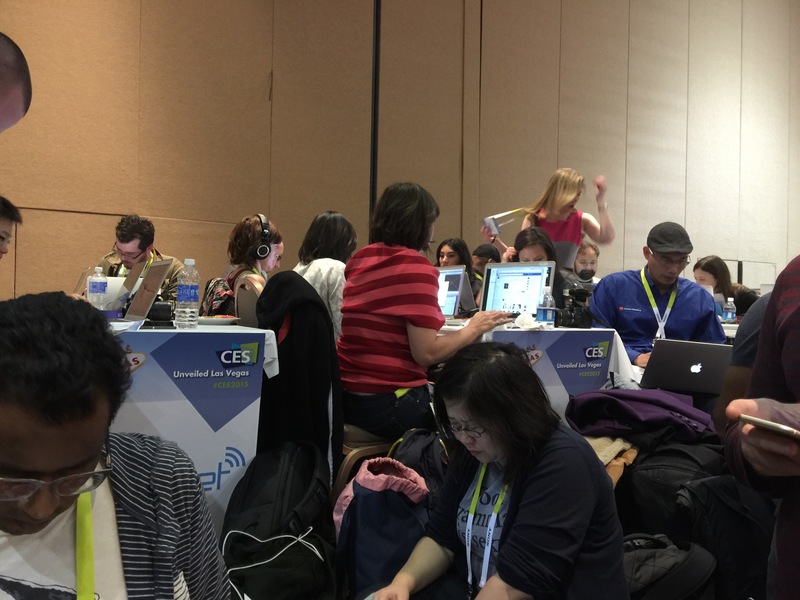 We rushed from the airport to an event called “Unveiled,” because that is where the press gets to preview some of the new products before CES opens. It was outstanding. 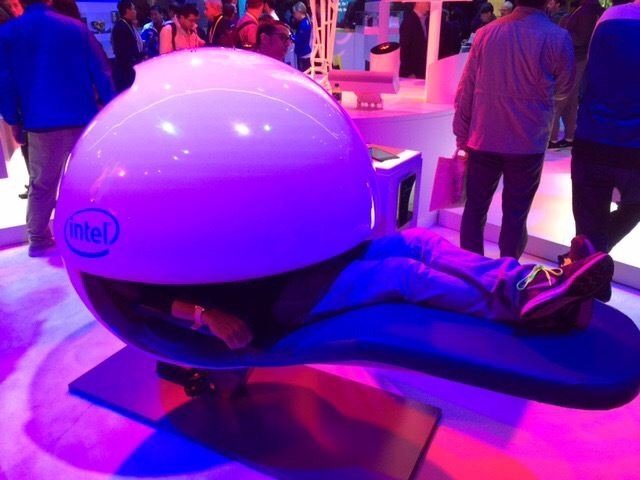 Sponsored by CES, it featured some amazing new ideas. I will try to showcase a number of them in upcoming days. Everyone in the room felt the excitement. This week is going to be amazing. 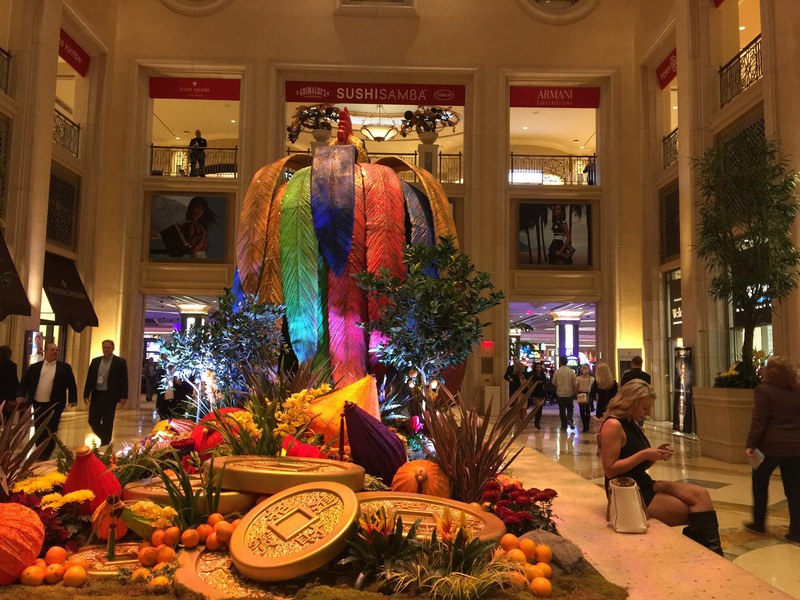 Here are some photos from Unveiled. 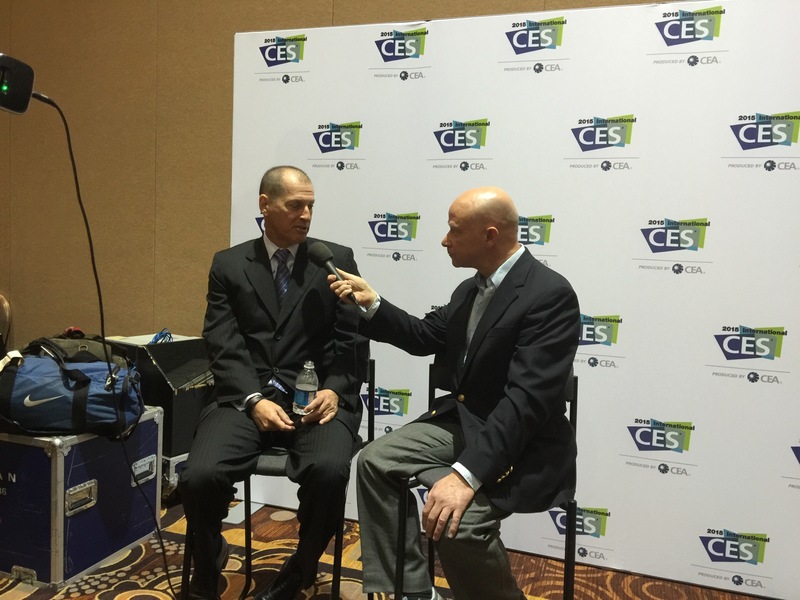 Gary Shapiro, (left) CEO, CES, being interviewed at opening of show. The most popular guys in the room. The lead team from USA Today. I wonder if Jack would have liked his Memorial? 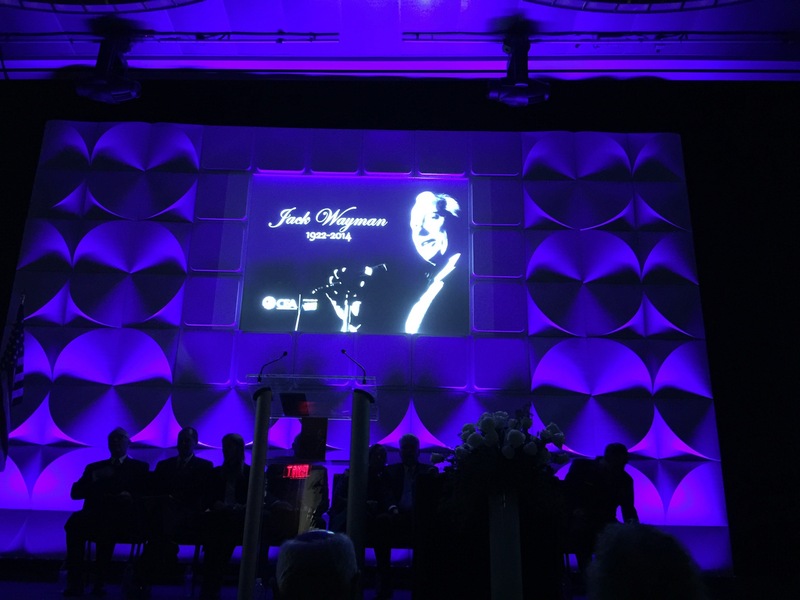 The Consumer Electronics Association, producers of CES, gave Jack an emotional send off today at the Grand Hyatt New York. 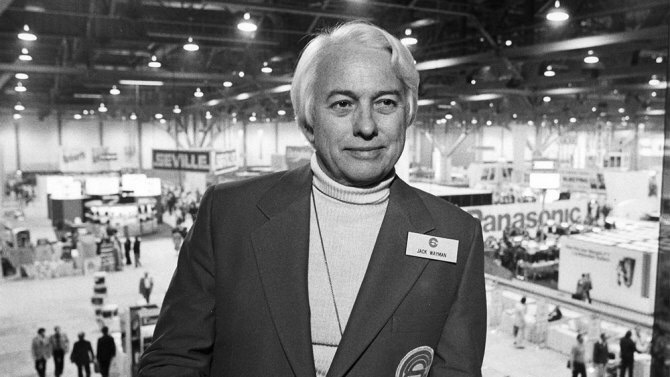 Jack started CES in 1967 and was the force behind CES becoming the largest trade show in the United States. Jack died at 92 years old. He had an amazing life. He reportedly had five wives, (one of his wives confided that number to me), five children, 13 grandchildren, and 10 great-grandchildren. While he adored his family, the greatest love of his life was his girlfriend, Katrine Barth, a PR agency owner who competed against me for many years. I’m not going to get into how unfair the competition was for my company during their affair, I’m saving that for the book I may write someday. After the romance was over (scandal galore), Jack liked to pretend that his relationship with Katrine had no impact on me. The fact that she got to meet all of the new exhibitors first and received his nod of approval to anyone looking for a PR program, could have easily put me out-of-business. It did the opposite, it made me stronger. I saw Katrine at the Memorial service today. We kissed, we hugged. I knew her for many years before she hooked up with Jack so there was a history of many good times. She accompanied the 30-year old daughter she and Jack had together. To his dying day, Jack was still in love with Katrine. Call me if you want more details. Jack would have approved my gossiping about him. He loved the attention, dead or alive. Jack was one of the most gregarious, personable, handsome, smart, accomplished, and dedicated businessmen I have ever met. He was all business. That was one of the reasons he loved Katrine so much. 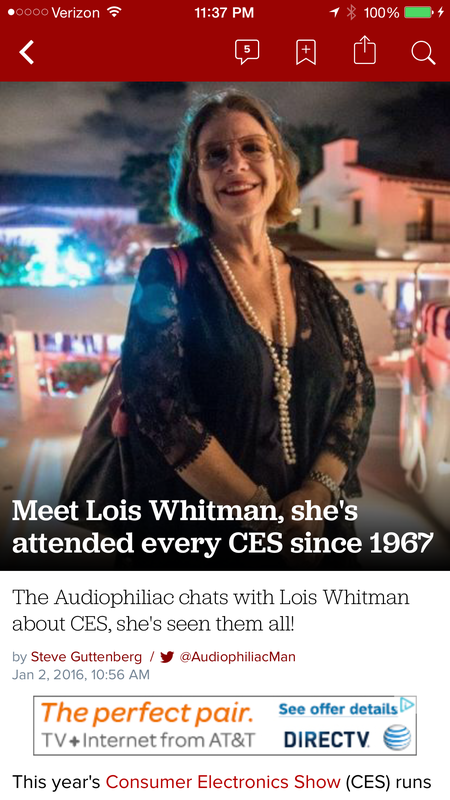 He could share CES with her. Jack was also a decorated U.S. veteran. He served in Europe during WWII as a combat infantry company commander and fought at the Normandy Invasion and the Battle of the Bulge, earning multiple awards including the Silver Star, Bronze Star, Purple Heart with Cluster and two Presidential Citations. .
We learned during the Memorial that he was a great athlete and a terrible driver. His eldest daughter gave a moving speech about his last days on Earth that I want to share with you. I will tell you more about it tomorrow. I never heard of anyone dying the way she said he did. He was in control to his last dying moment.